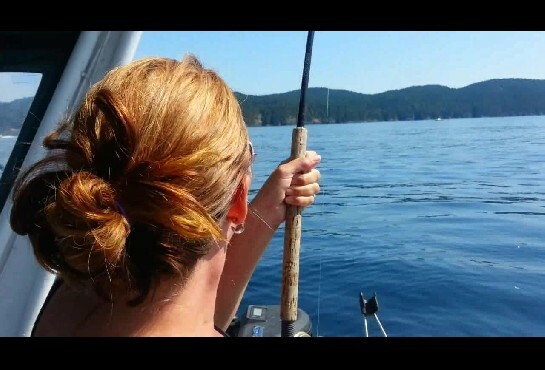 Welcome to SportfishingBC.com, your source for all things sport fishing in BC. 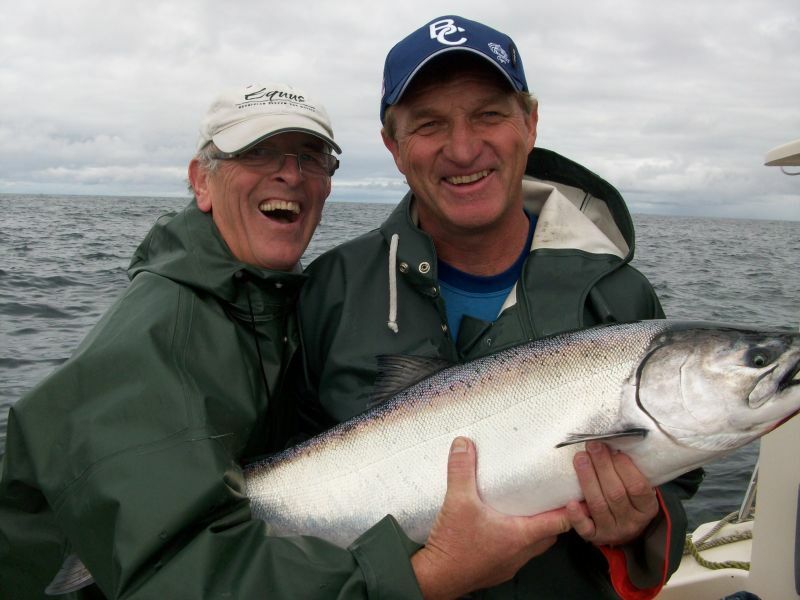 From booking trips of a lifetime to information about tackle and equipment to use in our waters, the information you need to enjoy your time fishing in British Columbia is here. Watch for information updates in our newsfeed section and visit our forum where people share their experiences on a wide range of topics. 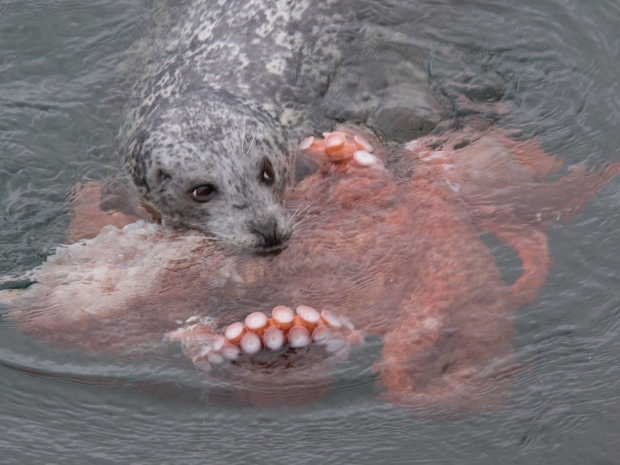 A fight between a harbour seal and giant pacific octopus in the waters off Victoria's Ogden Point on Monday drew a crowd of onlookers. Five A.M. on a mid-June morning, and we arrive on the dock in Victoria, British Columbia's Inner Harbour. Already, there's activity on the water, with the sounds of outboard engines driving charter boats out into the brightening dawn. 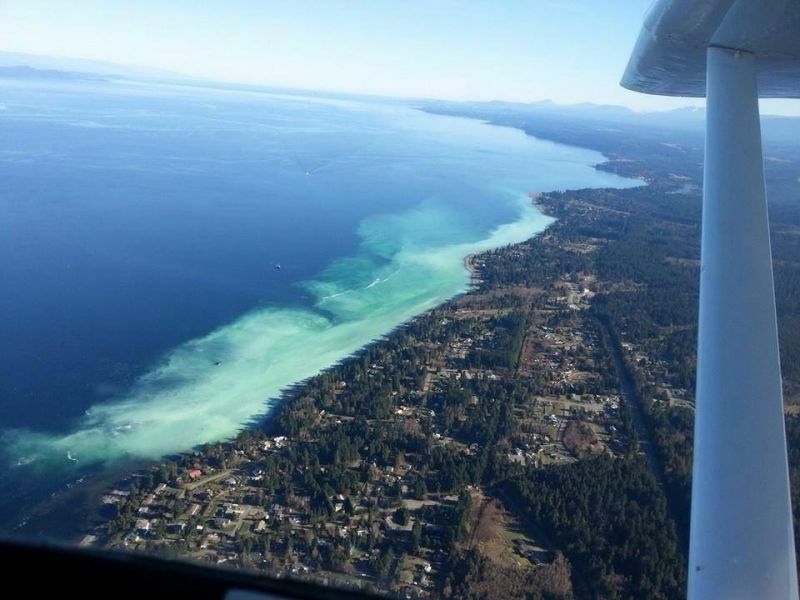 Angler's Paradise - Sooke, B.C. As my top water lure hits the surface, I anxiously wait for the ripples to disappear. Then with confidence, I twitch it once and then again. Watching intently, I witness a fish boiling at the lure. Caught by surprise, I instinctively reared back on the rod, which then caused the lure to fire back at me in mid air. 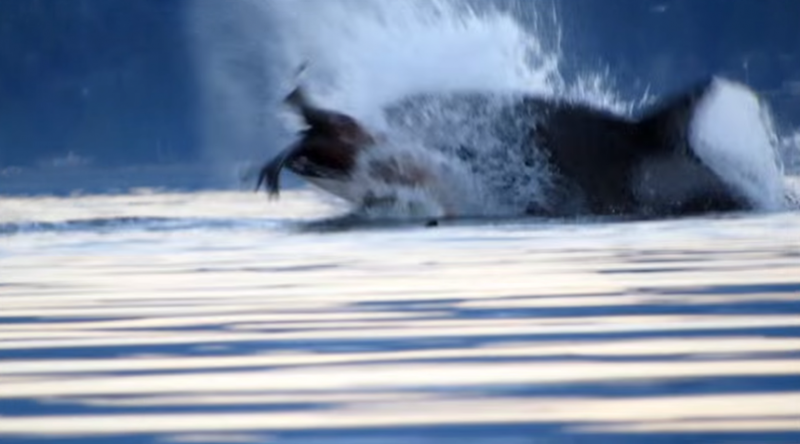 Every angler alike has several things in common. The joy of the outdoors, the ambiance of the scenery, the therapeutic sound of rushing water.......WHATEVER!!. Awhile back I attended the Vancouver Fishing Outdoors show and had the chance to cast a wide array of fly rods. From Lamiglas to St. Croix, I cast them all and I gained some useful insight into the differences between rods from various manufacturers and even some of the nuances between rods of different series made by the same company. See-food diet. That´s the term that is used most often by anglers in British Columbia to describe the feeding habits of the coastal cutthroat trout. 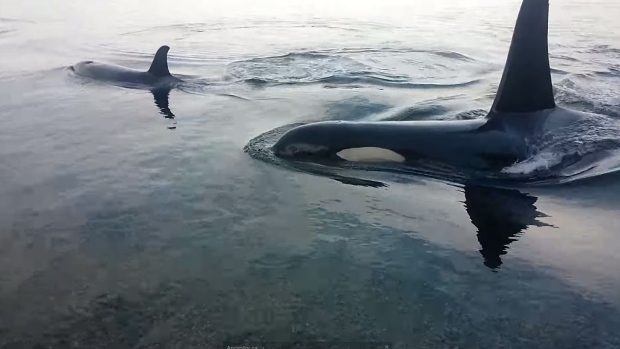 If they see food, they eat it. Yet this isn´t as true as it claims to be. Remote and wild, yet comfortable and urban, aptly describes the unique fishing adventure, deep in the Cariboo-Chilcotin Forest Region near the southeast corner of Tweedsmuir Provincial Park. Planning the annual fishing trip is a simple task for me. I start asking friends and editors a few months in advance about where I could go that isn't too far away and has good fishing. The weather had been extra warm over the past few weeks and the word around the lakes of Kamloops was "You should have been here two weeks ago." BODY: Olive dubbing, or seal fur, and/or rabbit fur. For many years the "Floating, Countdown, and Jointed Rapala lures", have been a popular choice for trout, walleye and bass fisherman throughout North America. 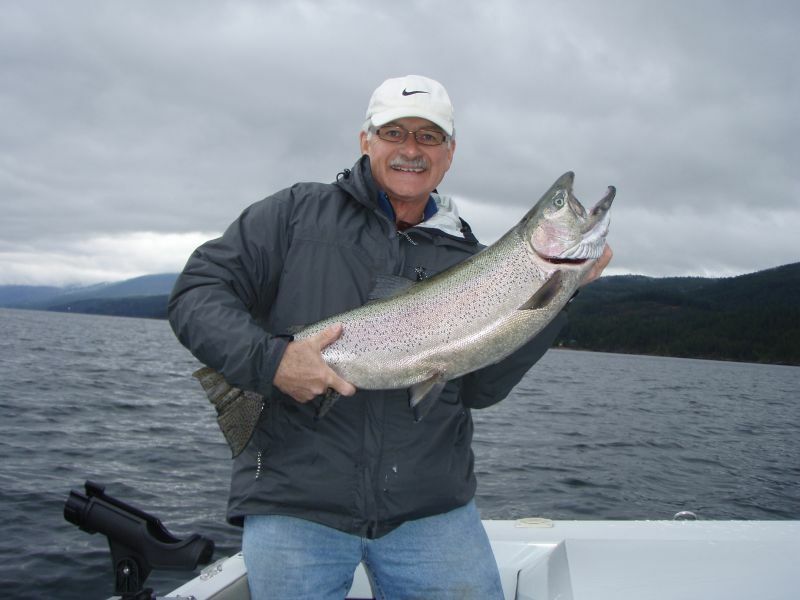 In British Columbia, they have been considered as a consistent producer for both trout and bass. 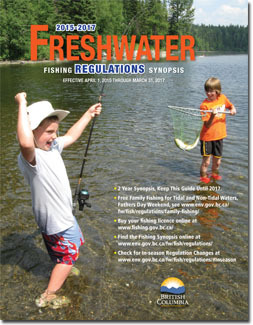 October brings the cooling effects of autumn and the fish in most waters should again be active. Unfortunately, fall does not bring with it many insect hatches and most of us have to chuck and chance it with patterns that imitate year round food sources, or attractors. BODY: Black yarn, chenille or dubbing, with maraboo tied down in clumps. BEARD: Optional. Crystal flash or Flashaboo. TAIL: Marabou, the same color as the body. HOOK: 1x or 2x long, size 8 to 14. TAIL: Pheasant rump feather tips, tied down frome the wing case. HOOK:1x, 2x, or 3x long. Sizes 6 to 12. THREAD: Black. BODY: Black wool or dubbing or floss. RIB: Flat silver or gold tinsel. TAIL: Grizzly hackle fibers or guinea fowl. LEGS: Grizzly neck or guinea fowl tied back along sides and bottom of fly. WINGCASE AND LEGS: Ringneck Pheasant Tail Fibers. Leftover wingcase tips are tied down divided style. HACKLE: Palmered, usually natural or died grizzly saddle tied in by tip. 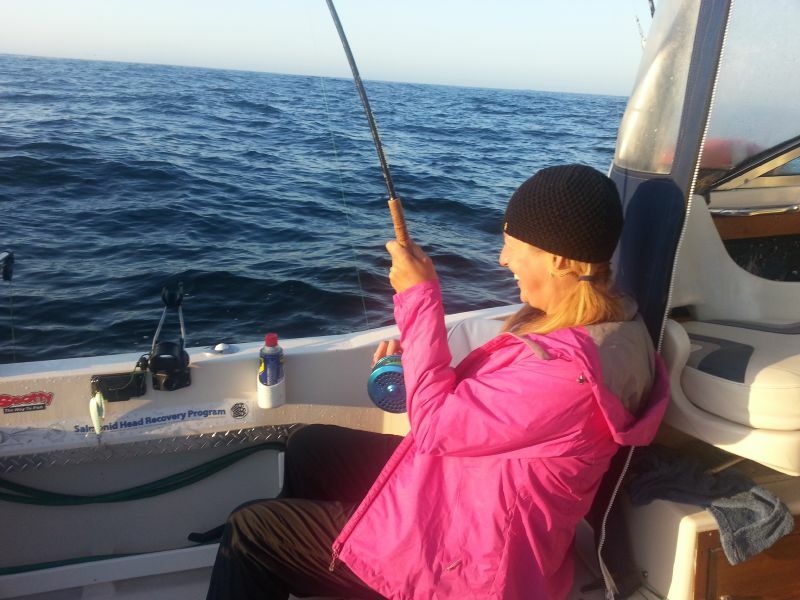 Trolling is a technique tailor-made for anglers with all degrees of expertise because it's easy, fun and it works! It's a great way to start a youngster out as line tangles and snarls are few and far between and there's always something happening. 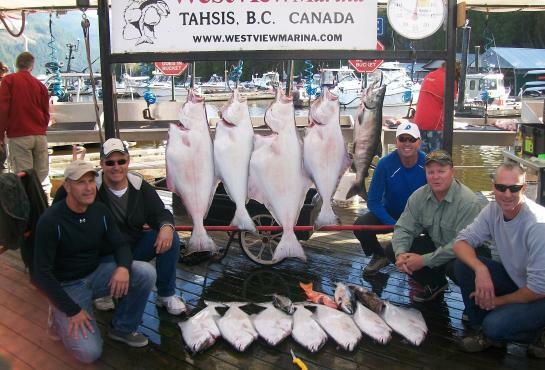 A huge 7' halibut was landed by two lucky anglers from Sacramento CA. 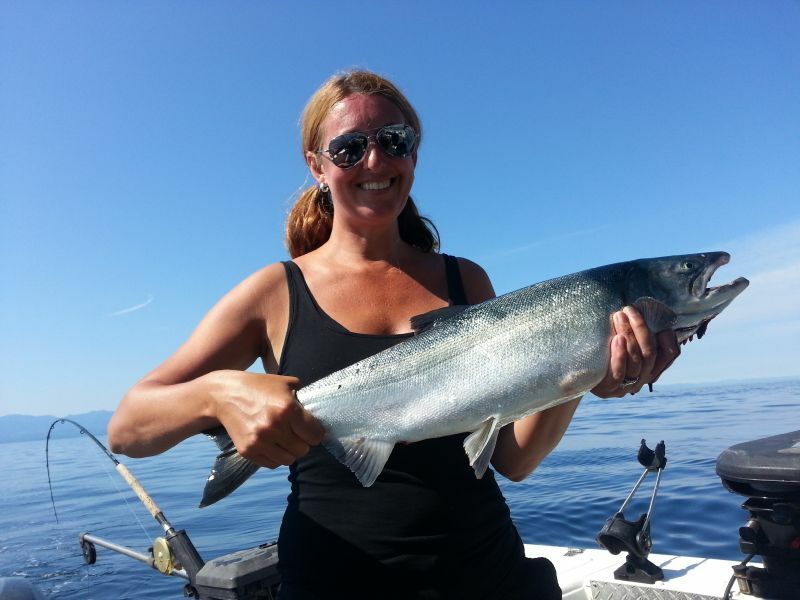 while fishing at Langara Island, located at the north western tip of the famous Queen Charlotte Islands. Looking for a tough and reliable halibut rod? Then don't overlook the new line of Penn "Mariner rods" when making your considerations. These rods conform to Penn's standard for long-lasting durable construction. Spey Flies - The "Hot Peacock Spey" - pattern provided by "Quality Flies Tied by G.G.B"
Drift jigging in open water is a fishing technique being used by an ever increasing number of anglers as they discover its effectiveness and ease of application. With all the different factors to consider when purchasing a fly line it is easy to see how the novice fly fisher can become overwhelmed by the choices. Let´s shed a little light on the subject in the hopes of clearing up some of the confusion. Waist deep in salt water, I gazed over the wide expanse of the bay, patiently false-casting my dry line, ever watchful for a rise or a roll close enough to cast to. With 35 feet of line aerialized, I readied for a delivery just as a fish rolled fifteen feet to my left. Every time the term "downrigger" comes to mind, I think of Scott Plastics. An innovator of the sports fishing industry and manufacturer of quality products, Scotty has helped fishermen all over the world make fishing easier and more enjoyable. Spoons can be fished in many different ways and are a great way to catch fish. There are times when all a person needs to do is tie a spoon on the line, throw it in the water and wait for the inevitable bite. This of coarse is the case when the fish are plentiful and the bite is on. But what do we do, or should I say how do we deal with this, when the bite is off? Keep it simple." "Simple is better." I can't say how often I have heard these words, but one thing I can say is that it often holds true for almost everything. A great example is the new "Power Grip" release clip by Scotty. 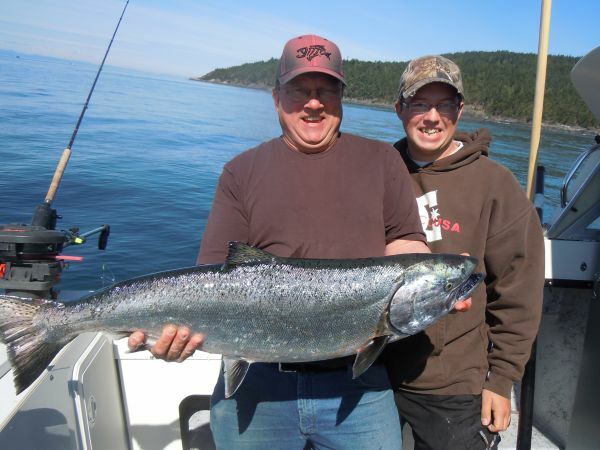 Last fishing report of the season from Fish On John of Westview Marina.